Canceled, page will be redirected. 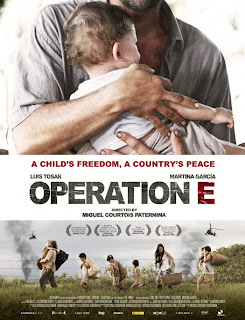 Synopsis: Based on the true story of Operation Emmanuel, the hostage negotiations that led to the release of Colombian politician Clara Rojas and her son Emmanuel, born into captivity. Told from the perspective of the farmer given care of the baby, OPERATION E shows an unusual view of the Colombian guerilla war, far from the angle generally told by journalists and politicians. The free screening of Operation E will take place at The Maple Theater in Bloomfield Hills, MI at 7:30pm on Tuesday, September 24th.